FIX YOUNG PEOPLE: Former acting police commissioner Stephen Williams, centre walks alongside his wife Avason Quinlan-Williams, right and secretary general of the police service retiree’s association Julie Carrington outside Riverside Plaza in Port of Spain Sunday. FORMER acting Police Commissioner Stephen Williams believes Saturday’s triple murder in La Canoa, Santa Cruz, could have been prevented if more adults provided care and support for at-risk youths in the community, and urged the public to take the time and effort to mentor children in need. Speaking at his retirement dinner at the Police Retirees’ Association at Riverside Plaza, Port of Spain, on Sunday, Williams said he was disheartened after hearing about the murders, and that over the years, young people had been marginalised and neglected by adults who were supposed to guide and protect them. 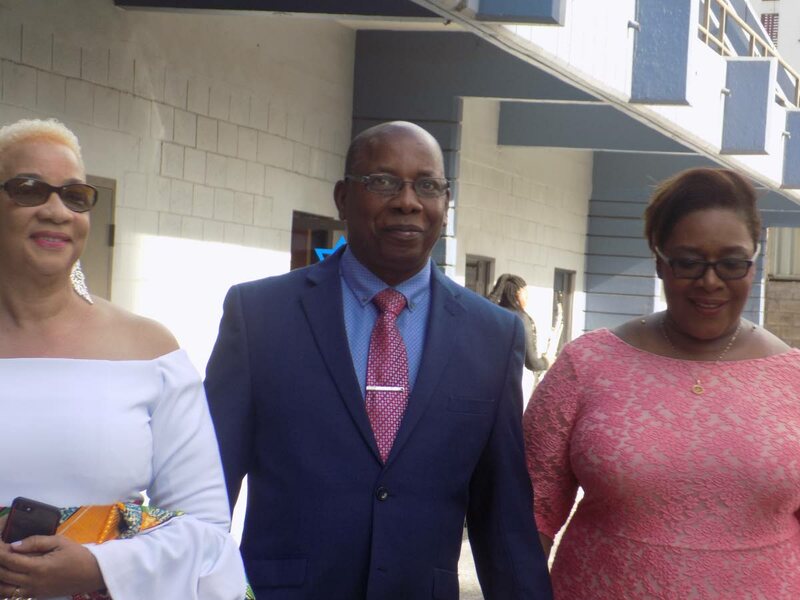 Citing his own experiences with preparing his grandson, Denzel, for the Secondary Entrance Assessment examination, Williams said while it was a difficult task, the long-term benefits of showing care and understanding to young people could not be understated. “Look at the ages of the people who were gunned down yesterday (Saturday) in La Canoa. I know that some of you might not even be paying attention to the story, because you’re fed up of the violence. Williams also urged adults to exercise caution as they try and engage young people, as some attempts at mentorship can be mistaken as inappropriate, but said such guidance was increasingly necessary. He said there was a need to address the issues facing youths as a united society and told members of the association that investing in the future of young people may save them from being robbed by neglected youths. Reply to "Williams: Santa Cruz triple murder preventable"